Smartt Mine, Kalahari Manganese Fields, South Africa. 45mm x 20mm x 40mm. 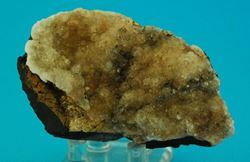 This is a self collected specimen of Todorokite from the now closed Smartt mine within the Kalahari Manganese Fields. 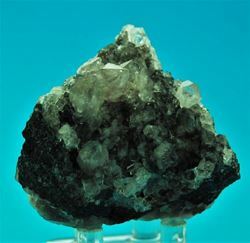 The best Todorokite came from the Smartt mine. N'Chwaning 2 Mine, Kalahari Manganese Fields, South Africa. 80mm x 40mm x 20mm.